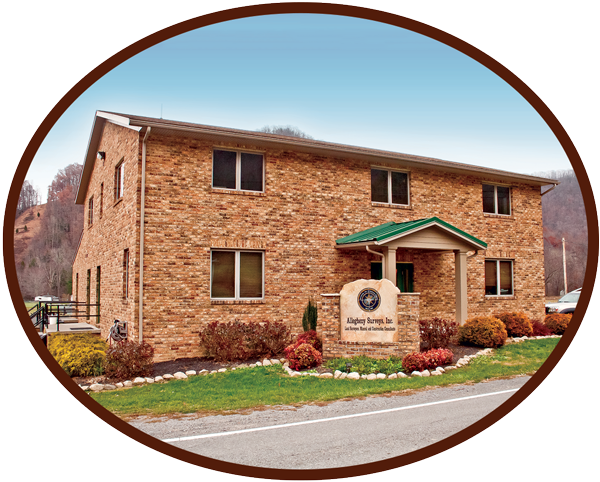 Originally founded in 1988 in Birch River, West Virginia, as Allegheny Land Surveying, Allegheny Surveys, Inc. (incorporated in 1994) is a land-surveying firm that for many years provided the coal and timber industries with their surveying and mapping needs. Allegheny Surveys specializes in large boundary surveys, often of several thousand acres, underground and surface mine surveys, and construction and topographic surveying. It has, over the years, performed numerous large rural boundary surveys throughout West Virginia, including 45,000 acres, 27,000 acres, 11,000 acres, and 5,300 acres, and several more of a few thousand acres. For 25 years, it has been surveying the interior and exterior boundaries of a 70,000 acre tract of timberland in Clay and Nicholas Counties owned by one client. Since 1995, Allegheny Surveys has been performing extensive GPS surveys throughout the region. Most of the early GPS surveys were for the coal industry, but the applications of the technology became useful in almost every service the company provides. In May of 2008, Allegheny Surveys purchased the assets and hired all eleven employees of Lincoln Land Consultants, a surveying firm located near Alum Creek, just a few minutes southwest of the State Capitol in Charleston. This firm provided exclusive shallow well and CBM well location surveys and permitting for Penn Virginia Oil and Gas. Since 2009, Allegheny Surveys has been permitting horizontal wells in the Marcellus and other Shale formations for the largest producers of natural gas in the region, including Antero Resources, EQT, XTO Energy and PDC. Through its partnership with its sister company, Hornor Brothers Engineers of Clarksburg, it is offering site design, lay-out and construction inspection services to its clients as well. In 2013, Allegheny Surveys, Inc. began permitting and design services for horizontal well development in the Utica Shale in Ohio. Allegheny Surveys currently has 60+ employees in three offices, and the capacity to field fifteen crews. It employs ten Professional Surveyors holding licences in seven states.